As an expert in electronics components, Axon’ PinTec has designed and manufactured interconnect Pin Headers for automotive and industrial applications for 15 years. The company located in the Alsace region in France has integrated the manufacture of contacts and the injection of insulating materials. Axon’ PinTec is equipped with automatic insertion machines which are able to manufacture large volumes. This technological expertise enables the company to adjust production to customers’ needs. Axon’ PinTec has been ISO 9001 certified. 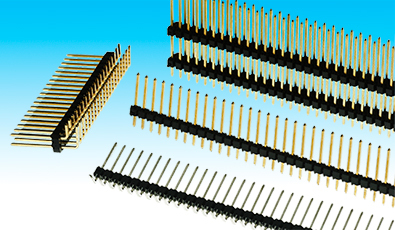 Standard or custom-designed interconnect pin headers for board-to-board and board-to-cable interconnects. Single row, double row, straight or angled shape. From 1 to 36 pins per row. Copper alloy, phosphorous bronze or brass with full or selective plating: gold, silver, nickel, tin.